THE AVERAGE VALUE of Irish houses and apartments has risen 4.4% so far this year, according to new figures from estate agents Sherry Fitzgerald. 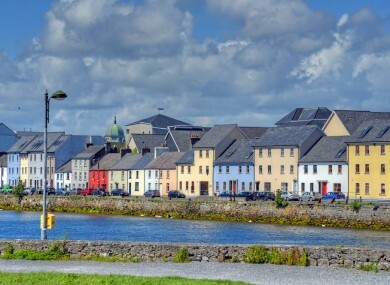 While prices in the capital are leading the market on an upward trend, it is Galway where the highest increase in property prices was found in the opening half of 2017. The group’s chief economist Marian Finnegan said that an upsurge in demand and a dearth in supply is driving prices upwards. Prices in Galway increased 4.9% in the first half of 2017, compared to the same period last year. In Limerick and Cork, meanwhile, the rises were more modest at 3.4% and 3.1% respectively. While second-hand stock is declining, the number of new dwelling sales recorded rose over a fifth nationally and by 33% in Dublin, Sherry Fitzgerald said. The increase in the average values of new dwellings on a national level by 38% in the first quarter of this year points to a positive impact of the much-maligned “Help to Buy” scheme introduced by government in the last Budget, according to the estate agent. A lack of investors entering the market and significantly more vendors selling their investment properties continued along recent trends, “deepening the supply side of the lettings crisis”, it added. Email “Outside Dublin, house prices in Galway are rising at the fastest rate of any Irish city”. Feedback on “Outside Dublin, house prices in Galway are rising at the fastest rate of any Irish city”.